Md. 198 bridge reopens in Anne Arundel Co.
After severe rainfall and subsequent flooding led to Md. 198 East and West closures on June 4, the roads have now been repaired and are reopened to traffic. WASHINGTON — A stretch of Md. 198 East and West has been repaired and is reopened to traffic over the Little Patuxent River. The stretch closed after severe rainfall and subsequent flooding led to a section of the road being swept away on June 4. 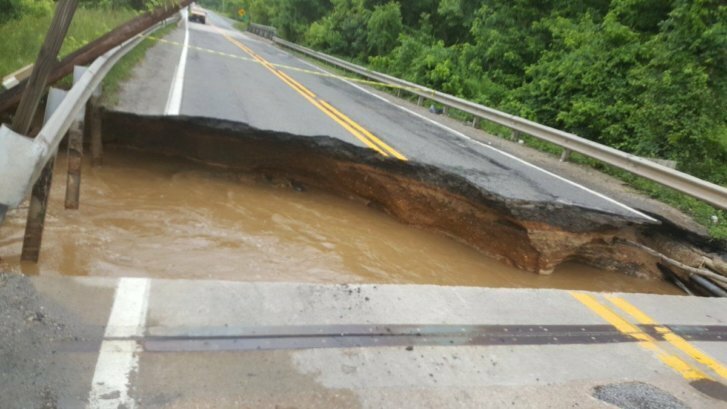 A large chunk of asphalt washed away during the flooding, leaving the bridge impassable. Crews originally said the repair could take weeks, but six days later the road is back in use. Below is a video of the damage before the road was repaired.